Shamim Padamsee is a well-published author. She is passionate about children’s literature and likes to go that extra mile to promote India-centric books for children. Being an educationist, she realizes the impact that the written word can have on a child and enjoys writing and reviewing books that she thinks children will love – books that will give them some food for thought, take them to places they may have never been, experience new ideas and thoughts, or, simply just make them laugh! 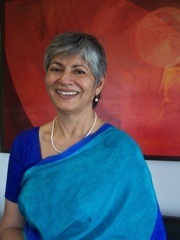 She is the founder of Young India Books.